Michael Vetter initially got famous in the late 1950s for revolutionizing playing the recorder by experimenting with the timbres and techniques such as multiphonics and microtones. 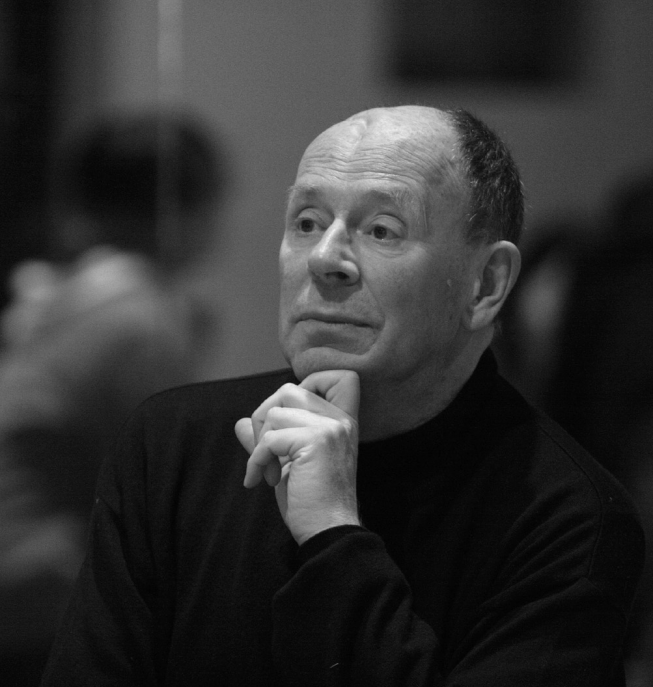 He inspired composers such as Louis Andriessen, Will Eisma, and Rob du Bois in the Netherlands, Sylvano Bussotti in Italy, and Mauricio Kagel and Karlheinz Stockhausen in Germany to use the instrument in their compositions. His technical discoveries were codified in a book: “Il flauto dolce ed acerbo“ (1969), which included tables of nearly 2000 fingerings. Later he gained international fame through his art of overtone singing and his experimental vocal improvisations. As improvising performer he collaborated with composers like Bussotti, Kagel, Ligeti, and Takemitsu and Stockhausen. In 1996 Vetter performed in a worldpremiere the 2,5 hours lasting integral version of the Karlheinz Stockhausen piece “SPIRAL“; the 2 volume CD was released at Stockhausen Verlag. In 1997 Stockhausen composed for Vetter the main role in Michaelion of his opera: “MITTWOCH aus Licht“. .
Michael Vetter was buried in a forest at Wildenburger Land in the middle of a mossy miniature landscape at the foot of a 90-year-old beech tree. Thank you all for your condolence and love for his creation, work and beeing. 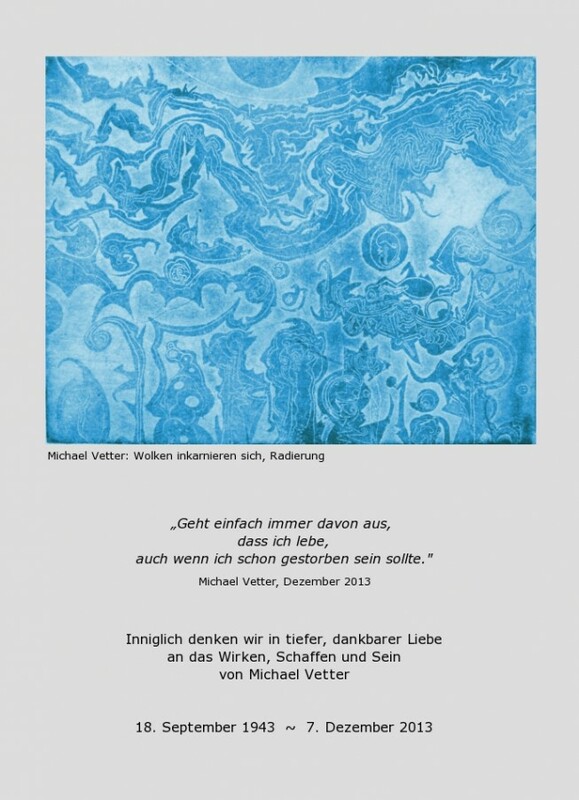 Since 1996 until his death I have worked very close with Michael Vetter, and was appointed by him to manage and look after his work, as well as carry forward his intellectual and artistic concepts. Please direct all questions, wishes etc. to the address below.